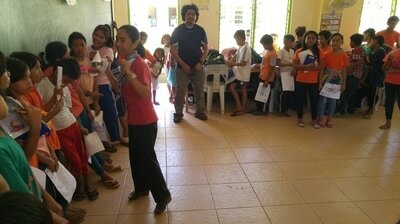 Progressive Education comes to Cronasia Foundation College, Inc.
​“Sabi nila ang ganda daw ng ginawa n’yo, masaya daw…gustung-gusto nila ang activity. Gusto sana namin ng isa pang training mula sa inyo” [“They said what you did was very wonderful, it was fun… they really like the activity. We would like to have another training with you”], enthusiastically expressed by Atty. 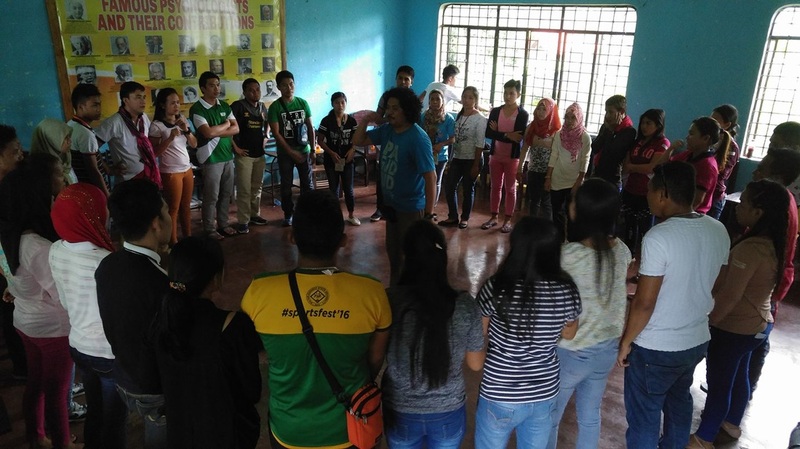 Cyd Charisse P. Non-Dizon, the School Coordinator of Cronasia Foundation College, Inc. (CFCI) days after Pasali’s Children’s Education and Welfare Program (CEWP) staff conducted a TEAMBUILDING WORKSHOP FOR FACULTY MEMBERS AND STAFF of the above-mentioned learning institution. ​With the desire to hand on progressive education especially towards partner academes, the CEWP team responded promptly to the invitation of CFCI to facilitate a half-day teambuilding workshop for them. The activity took place last June 16, 2017 at CFCI’s Audio-Visual Room (AVR) with 32 total participants aging from 21 to 60 years old. It aims to build the spirit of teamwork between and among the faculty members and staff. ​ To realize this, the team employed five (5) sub-activities. 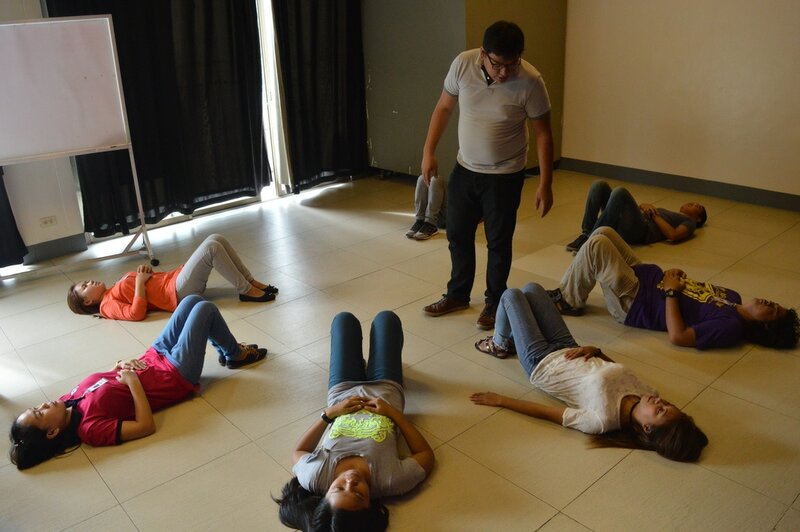 It started with “GETTING TO KNOW YOU/MOOD-SETTING” which energized the participants and released their inhibitions. Everyone really enjoyed the “Speed-date with a twist” allowing each to tell his/her nickname, length of service in CFCI, things he/she doesn’t want others to do to him/her and expectations in the entire activity while depicting different emotions such as happy, angry, sad, hurt, and frightened. “Arrange Yourselves” game further excited the atmosphere wherein surprising facts about each faculty/staff were revealed. This activity also led to the formation of groups. 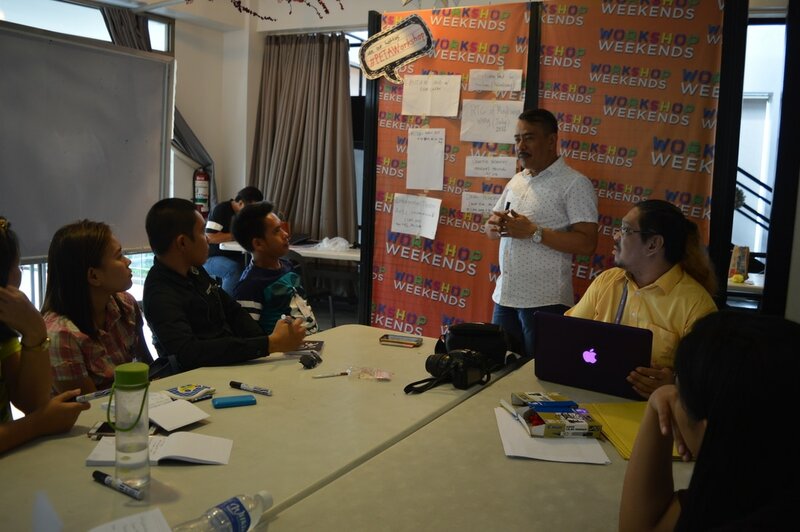 The participants were allowed to share their expectations about the Facilitators, Content and Co-participants during the “EXPECTATION CHECK”. Creativity, resourcefulness and team bonding were stimulated in the workshop called “POKER TOWER” in which groups are given a maximum of 30 minutes to build a tower using only one (1) deck of cards and a scissor provided for each group. After the workshop, the participants were asked to share their reflections. 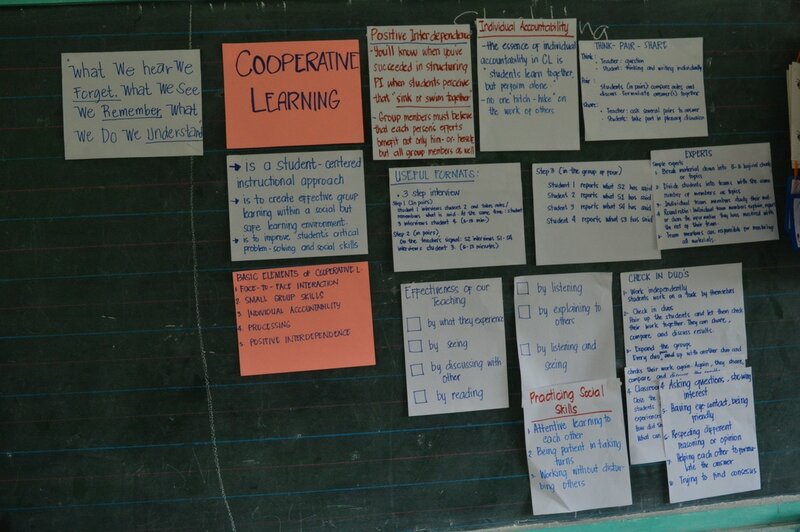 To which the main responses were the following: (a) TEAMWORK , UNITY and SYNERGY are important; (b) RESPECT for each other’s idea; (c) everyone should be GOAL-DRIVEN; (d) DREAMING HIGH plus GOOD FOUNDATION equals to SUCCESS; (e) teachers are the school’s SOLID FOUNDATION and BACKBONE; (f) INDIVIDUAL efforts COUNT (g) ensuring the foundation before reaching the goal; (h) TAKE RISK (whether you fail or succeed); (i) REBUILD whatever is destroyed; and (j) we LEARN LESSONS when UNEXPECTED things happen. Sensing that they have achieved another milestone, the Pasali team carried back home smiles of success and fulfillment. This inspired them even more to continue promoting quality education among tri-people youth and children by working hand in hand with compassionate partner advocates. Pasali initiates a project goal aiming to encourage the teachers to develop and adopt creative approaches in teaching in an extent to utilize and even maximize the synergy of Respect methodologies in their daily teaching. The Buddy-buddy System which is program's form of implementing this year's project goal that states, "To integrate Respect Education teaching strategies in the formal curriculum of DepEd Region XII". The scheme started last October 2016 and is, at present, implemented in the schools. The system offers practical techniques to help teachers maximize their potentials. It is a one-on-one follow-up coaching session between the Pasali facilitator and the recipient teacher prior to the actual application inside the classroom. 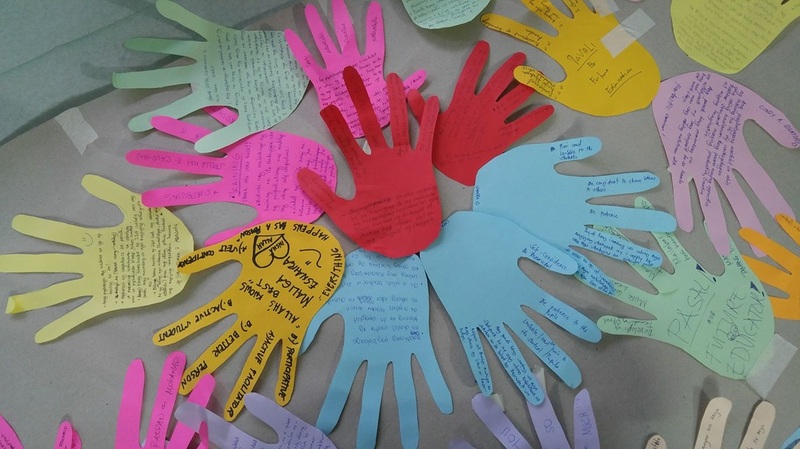 This intervention aims to enhance the lesson plan to make it more creative by employing group dynamics that connect with the topic and by adopting Respect methodologies in the process. The Buddy-buddy System gives teachers opportunities to be exposed to different teaching approaches as well as understanding children's individual intelligences. What's more is to enhance their teaching method, develop their creative lesson plan and promote active participation of the learners. So far, this initiative was found applicable in the following subjects: Science, Filipino, HEKASI, English and Mathematics. 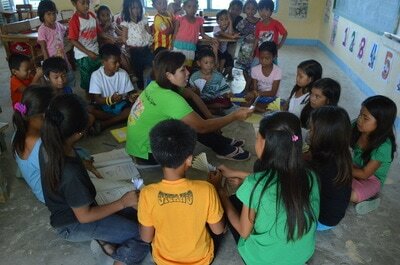 This also facilitates a wholesome learning experience for the children. Teachers in the target schools have already tried it and are able to sustain the use of such methodology . In line with the implementation of Republic act No. 10533, the Department of Education issues the policy on the Learning Action Cell (LAC) as a K to 12 Basic Education Program School-Based Continuing Professional Development Strategy for the Improvement of Teaching and Learning. LAC is supported by DepEd Order No. 35, series of 2016. Seizing this opportunity, therefore Pasali Philippines Foundation offers its effort thru a 3-hour session on Creativity on Education every 2nd and 4th Friday of the month. This session combines topics such as Respect Methodologies, Tools of a Teacher, Elements of Artistic Expression, Rules of Improvisation, Integrated Theater Arts, and Creative Lesson Planning. Its aim is to allow the teachers appreciate the use of creative and culture-based teaching strategies in the classroom. This is done by coming up with creative lesson plans integrating Respect Education methodologies while utilizing appropriate group dynamics and exercises in different subjects. As the process goes, the facilitators conduct the activity creatively with much of exercises that can be used also by the teachers in their daily teaching. The bottom end of this activity is to persuade the teachers to become innovative in their teaching approaches where each child feels safe, accepted, and able to partake in a wholesome and rewarding learning environment. In addition, the activity is school-based in nature and is being implemented in the recipient schools of the Respect Education Program primarily with its 10 focused schools in Palimbang (6 schools), General Santos (2 schools) and Maasim and Malungon, Sarangani Province (1 school each). It started last September 23, 2016 and is still currently to more schools due to the requests of the School Heads and teachers. Held in various recipient public schools within General Santos City and Sarangani Province, Pasali Philippines Foundation tapped the partnership of PTA (Parents-Teachers-Association) as co-peace advocates in the promotion of equality and understanding thru the Respect Education Program in every school campus. Thus, the School-Based PTA Strengthening Orientation-Workshop was productively conducted on Nov 7, 8, 9 &10, 2016. 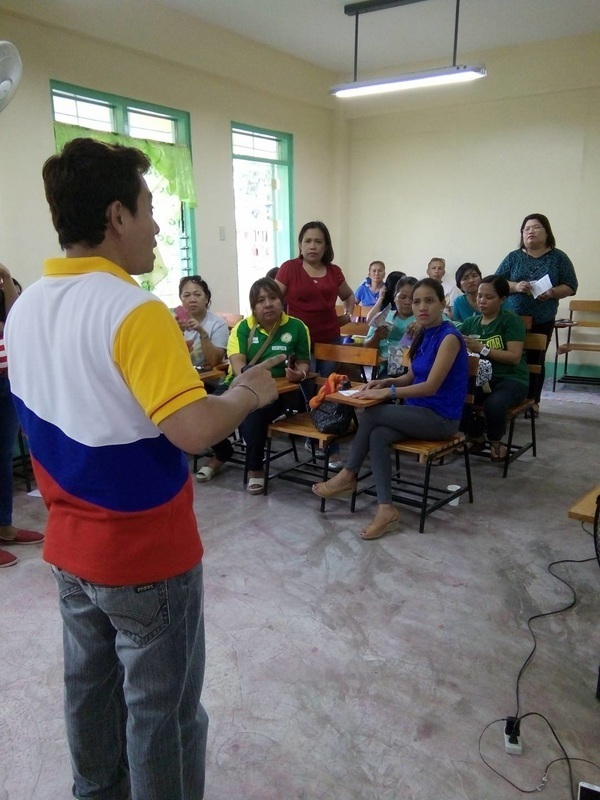 Participants in this event were the Principals and 15 GPTA’s (5 PTA Executive Officers and the BOD’s that include the teacher-secretary and BOD teacher-member) per school. 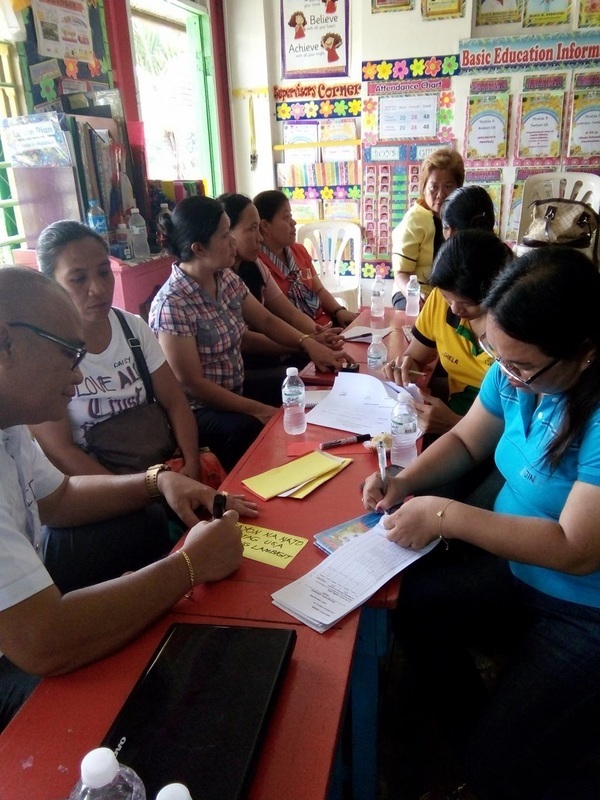 Cluster 1 included Bawing Elementary School, Changco Elementary School and Bawing High School, held on November 7 at Bawing Elem. School. 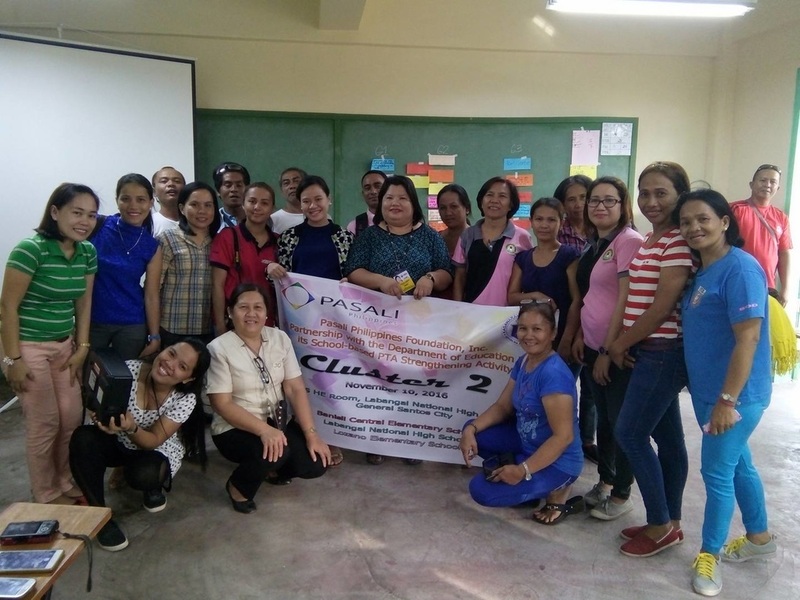 Cluster 2 for the School-based PTA Strengthening included Labangal National High School, Lozano Elementary School and Banisil Elementary School and was held on November 10 at Labangal National High School. Cluster 3 included San Jose Elem. School, Datu B. Balunto High School and NASA Elem. School and was held on November 8 at the last mentioned school. Cluster 4 included Conel Elem. School, A. Biscayda Elem. School and Upper Labay High School held on November 9 at Conel Elementary School. This event was done to further determine the roles and limitations of the PTA and even be acquainted in proper recording and handling of the organization’s funds for the purpose of transparency and safekeeping. The topics that were discussed involve the Revised PTA Guidelines on DepEd Order #54, series of 2009 and Simple Bookkeeping. The strengthening activity, as well, involved various workshops including Group Dynamic to appreciate the value of one’s leadership, unity, and communication in the organization, facilitated by Pasali's CEW Facilitators and staff. 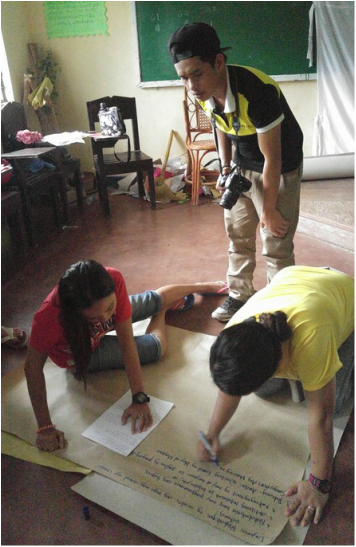 The teachers appreciated the use of these exercises as it can be integrated in their classes. PTA officers also got the opportunity to ask and be clarified with the arising issues in their academe based on the DepEd Order #54. Furthermore, Formulation of the Work and Financial Plan was made by the participants to the purpose of extending technical assistance to the organization in coming up both an Objective and Output-based Work and Financial Plan for the AY 2016-2017 that will serve as basis for the monitoring and assessment before the academic year ends. 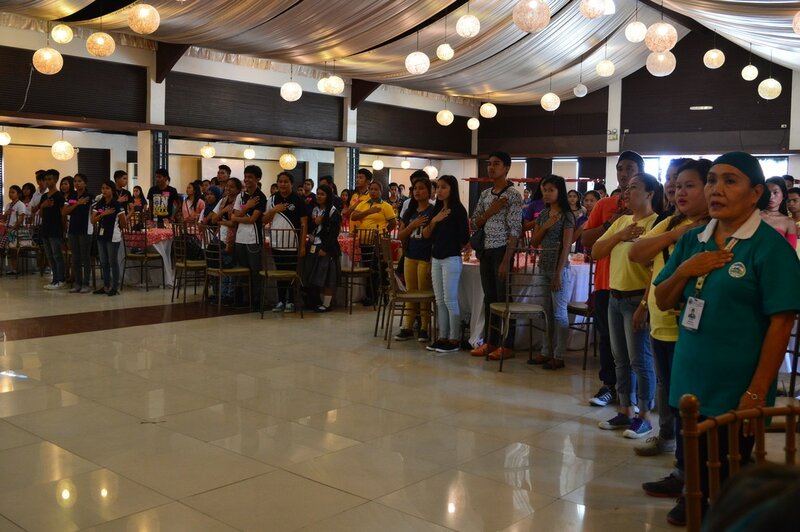 ​To diversify the intercultural understanding in education and fulfill explicit basic needs of students, Pasali, once more, launched “Creativity in Teaching with Respect Methodologies Training for K-12 Teachers” last November 4-5, 2016 at Sultan Kudarat State University, Poblacion, Palimbang, Sultan Kudarat. It was participated by 7 Faculty Personnel and 55 Graduating BEED Students of SKSU. Come up with a sample creative lesson plan in different subjects integrating the Respect methodologies and creative approaches. 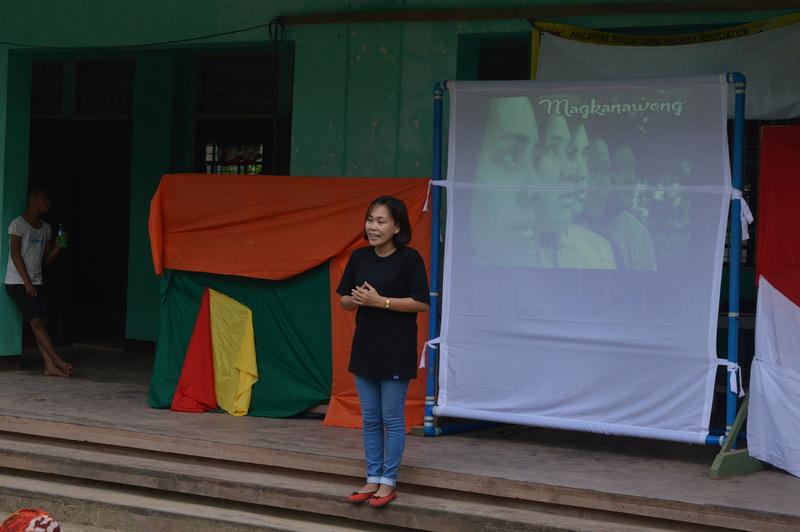 ​Since the first phase of this training was done last September 2-4, 2016, this time, Pasali spruced up the training by adding topics such as creative lesson plan formulation, elements of artistic expression, integrated Theater Arts such as Creative writing, Creative Sound and Music and even Creative Body movement that supersede the traditional way of teaching. 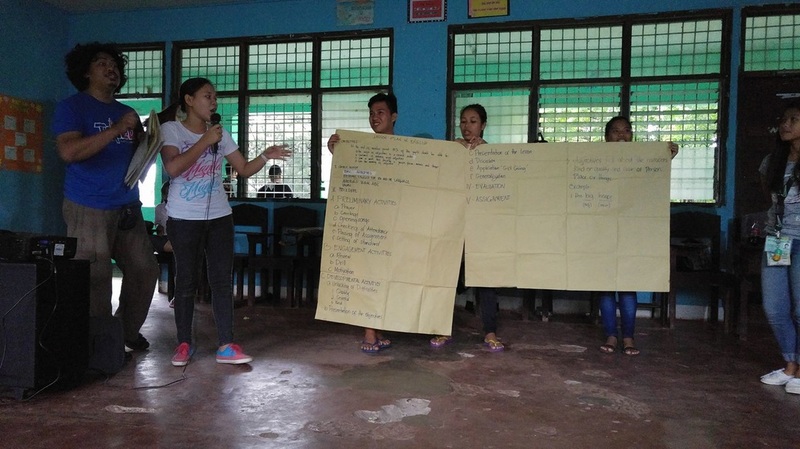 This event was facilitated by Pasali’s Children’s’ Education and Welfare Program Facilitators and co-facilitated by 10 selected previously trained SKSU BEED students (September 2-4, 2016). Along with this, in view of the fact that the main purpose of this workshop is to embed Respect Education in all aspect of everyday living, a beautifully crafted 45 minute REP’s mobile theatre production co-produced with the expertise of Philippine Educational Theaters Association (PETA) and the Children’s Education and Welfare Program Facilitators was showcased this time entitled “MAGKANAWONG” which showcases actual situations in Mindanao which has been greatly affected by history and has incurred divergence in cultural and tribal views and belief throughout the evolution of generations. This term was then used to signify ‘equality’ as individuals regardless of the differences. 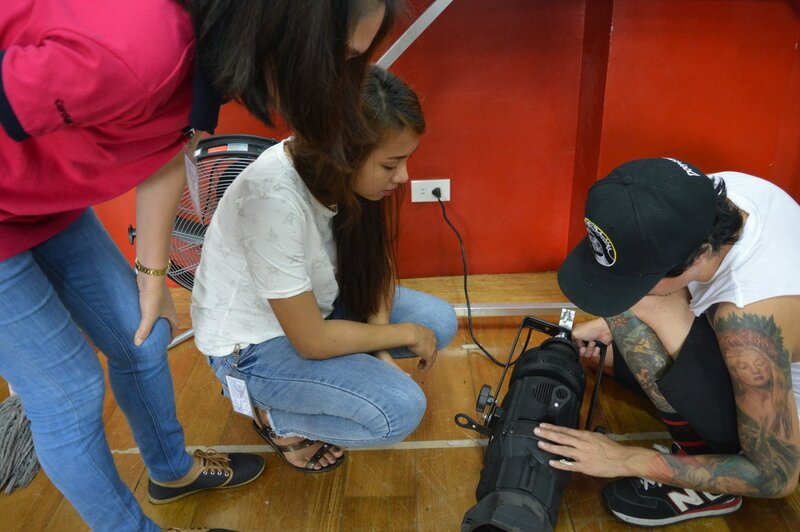 Certainly this workshop transcended on augmenting teachers and soon-to-be teachers’ ingenuity. The main purpose of REP is to integrate value-based teaching techniques in the formal curriculum and to embed deeper understanding about respect in all aspect of everyday living to cultivate helpful improvement into current generations’ values. 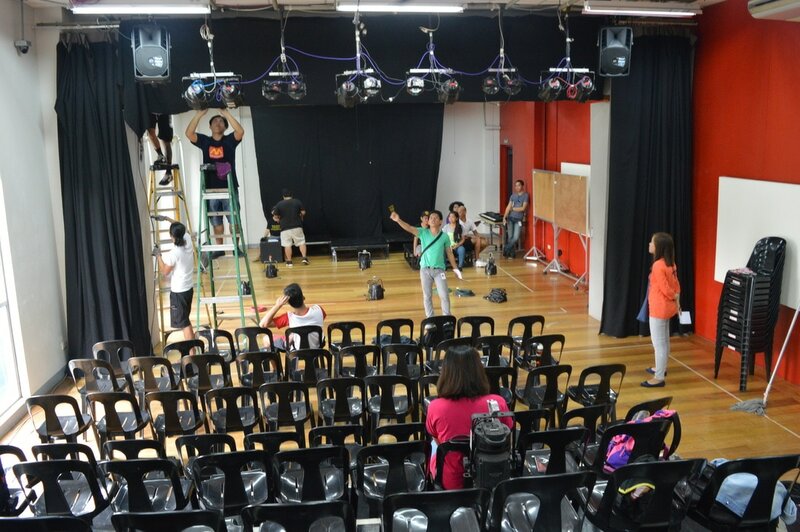 In line with this, an idea came up to generate a short theatrical production summarizing the core message that this project aims to deliver – equality amidst culture, tribe, and religion diversity. 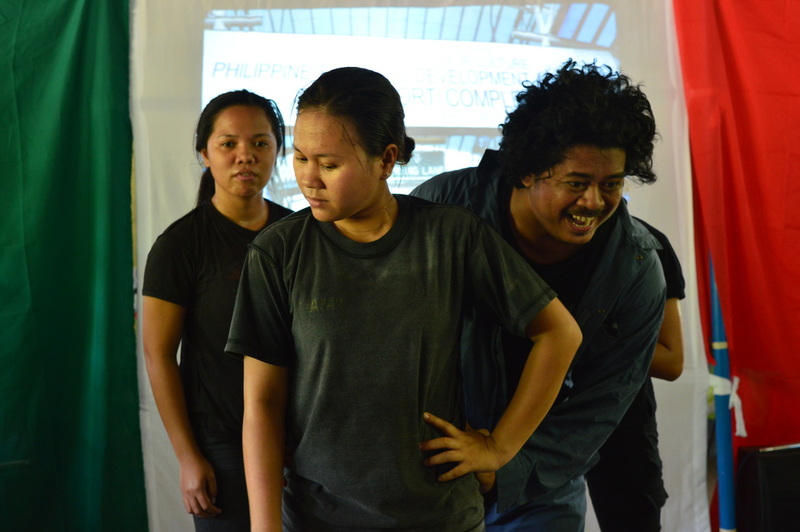 MAGKANAWONG: the carrier title of REP’s mobile theatre production (MTP) is a cebuano word which means “look alike (physically).” However, this does not literally mean likelihood in physical features but rather deeper than the surface meaning. In its goal to convey a more relatable and easily understood term, “Magkanawong” was then used to signify similarity or “equality,” as human beings despite the differences. 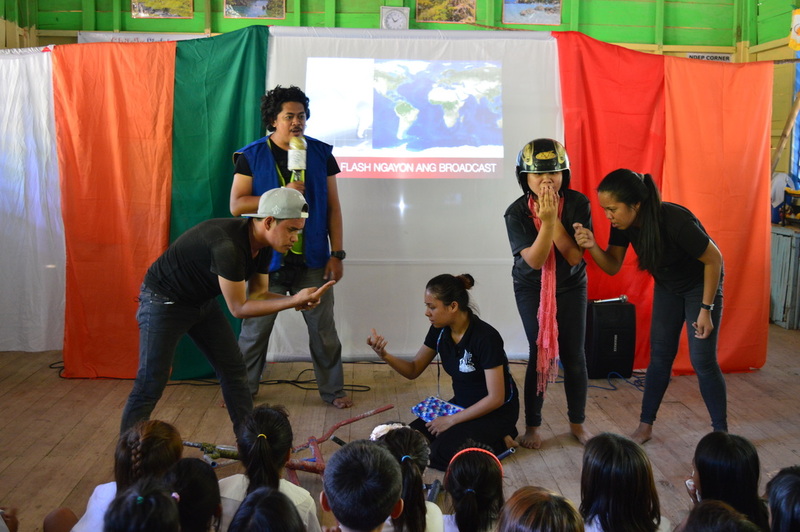 It’s a beautifully crafted 45 minute MTP co-produced with the expertise of Philippine Educational Theaters Association (PETA) and the CEWP Facilitators. This production showcases actual situations in Mindanao which has been greatly affected by history and has incurred divergence in cultural and tribal views and belief throughout the evolution of generations. Furthermore, these differences have caused detrimental effects specifically discrimination in employment and cross-religion marriages; even bullying in education, extra-curricular activities, and treatment in other forms. Eventually, a quoted line from one of the characters “dapat nating tulungan ang isa’t isa dahil nasa iisang bangka lang tayo (we should help each other because we are in the same boat…)” and “ang Mindanao ay para sa Mindanao (Mindanao is for Mindanao)” express oneness despite the differences and instead of wars to own Mindanao, settlers should unite and protect of their land to preserve a tranquil abode. 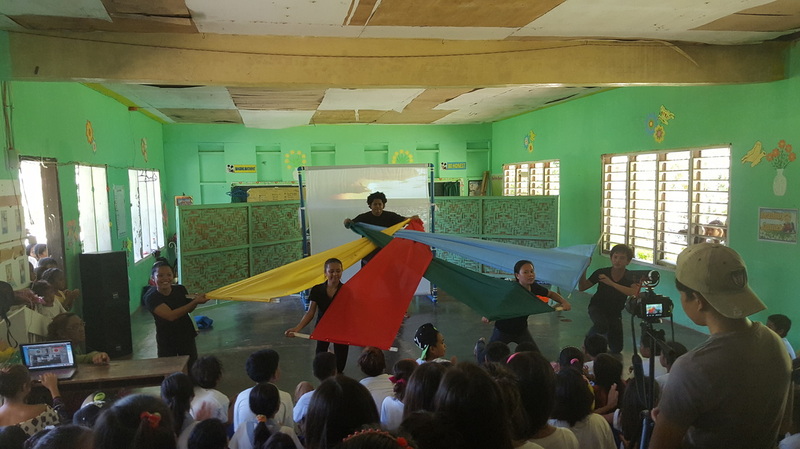 This Mobile Theater Production will be used as an advocacy act of the program to promote “RESPECT” as the key to achieve peace and harmony among various tribes, confirming that there is “unity in diversity”. 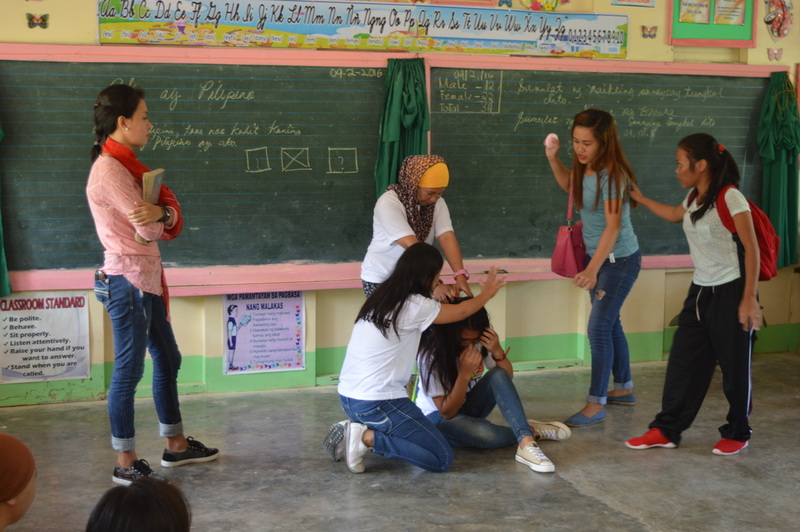 The first showcase of this production was held last July 15, 2016 at Milbuk Central Elementary School with an approximate 100 audiences which includes teachers and students of both elementary and highschool. 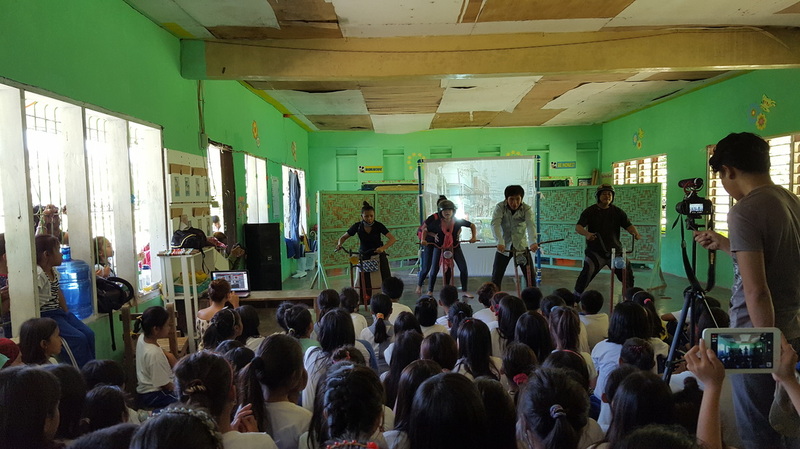 This artistic campaign will be performed to a minimum of ten (10) schools and events in and around General Santos City, Sarangani Province and Palimbang, Sultan Kudarat. Pasali's Children’s Education and Welfare Program Facilitators , in partnership with The Philippine Educational Theater Association-School of People’s Theater (PETA) represented by its School Program Director, Wilson Billones, and Facilitators Maria Rosario Bustamante and Raul Alfonso, successfully conducted the “Creativity in Education Training for K-12 Teachers” last September 2-4, 2016 at Palimbang Central School, Palimbang, Sultan Kudarat. 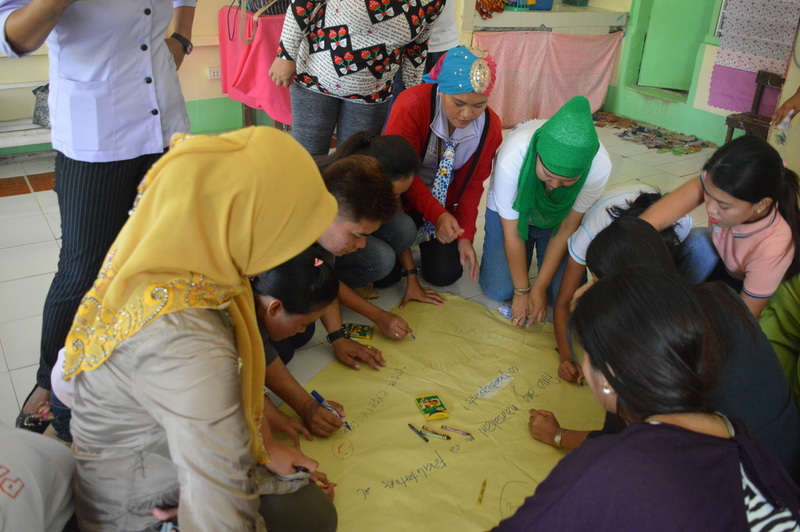 It was participated and completed by 16 elementary and integrated school teachers from 6 focused schools in Palimbang, and 26 SKSU BEED graduating students. ​The training involved various exercises which were mostly in workshop forms. Some of these were image building, salin-awit (song composition), dance choreography, conflict exercises, and other acquaintance and realization games. These drills work towards unleashing and enhancing creativity in aspects of sound and music, body movements, visual arts, writing, and interactive abilities of the teachers and soon-to-be teachers.